"Salk Cancer Center will pursue scientific discoveries that fundamentally change the understanding, diagnosis and treatment of cancer." Despite decades of research and significant improvements in treatment, the fact is that more than half a million people will die of cancer this year, just in the U.S. The Cancer Center at the Salk Institute seeks to understand the fundamental biology of cancer so that this illness becomes nothing more than a diagnosis. 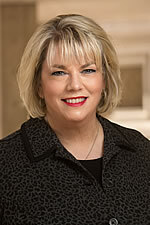 Thanks to a combination of world-renowned scientists, state-of-the-art facilities and a culture that favors collaboration over separation, Salk Cancer Center continues to make basic research discoveries and translate its insights into clinical breakthroughs that reshape diagnostic and therapeutic options for people with cancer. 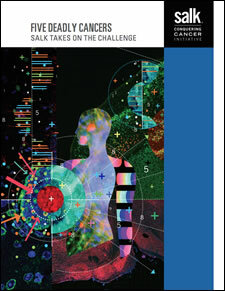 As a premier cancer research center, Salk Cancer Center takes on the most pressing challenges facing cancer biologists today. We scrutinize cancer all the way down to its genetic code, searching for vulnerabilities. 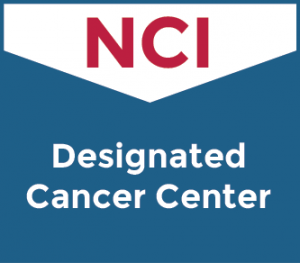 Our goal is to help clinicians make informed, personalized decisions on how to treat each individual case of cancer. Salk Cancer Center researchers are leaders in developing and applying new approaches such as reprogramming tumor metabolism, altering the tumor microenvironment, and teaching the human immune system to seek out and destroy cancer while leaving healthy cells unharmed. We will continue to build upon our outstanding foundations in basic discovery science. Our newly launched Conquering Cancer Initiative will leverage Salk Cancer Center’s talented researchers to take on five of the deadliest cancers: lung, brain (glioblastoma), breast (triple negative), pancreatic and ovarian. 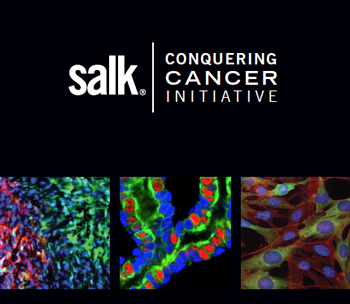 To learn more about Conquering Cancer, click the link below or scroll down to watch former Vice President Joe Biden’s remarks at the recent launch event for this bold Salk initiative.